Nadia Bazzy MA, LLMFT serves as Director of Multi-Ethnic Student Affairs at the University of Michigan. She previously served as the Interim Director of the Sexual Assault Prevention and Awareness Center (SAPAC) and Assistant Director at the Office of Student Conflict Resolution (OSCR) at the University of Michigan, with primary responsibility for OSCR’s role in the University of Michigan Policy & Procedures on Student Sexual & Gender-Based Misconduct & Other Forms of Interpersonal Violence. Sarah Burch is an Ann Arbor native and most recently was the office manager at Destination Ann Arbor. In August of 2018 Sarah graduated with her Masters Degree in History from Eastern Michigan University, she focused her research on 20th century U.S. and European relations. Additionally she also received a Bachelor's degree in Political Science at Eastern Michigan, and was actively involved on campus. She's planning to use that experience in student engagement while at MESA, learning from and alongside students. Krishna Han's (he/him/his) professional student affairs journey in the US took him from Oberlin College to Bowling Green State University (BGSU) prior to joining University of Michigan. Originally, from Cambodia, Krishna graduated from the Royal University of Phnom Penh with a dual degree in Biology and Education. After completing a master degree in Community Forestry at Shinshu University, Japan he pursued and earned a Ph.D. in Regional Environmental Resources Management at Hokkaido University, Japan. Henry Mochida is the Communications Specialist of The Program on Intergroup Relations, Spectrum Center, and Multi-Ethnic Student Affairs (ISM). He guides the development and implementation of strategic communications processes for the three units and beyond. Henry completed his master’s degree and was a Ph.D. student in Urban Planning at the University of Hawaiʻi with a focus on media advocacy and participatory action research methodologies. Javier Solorzano Parada (he, him, his) is a two-time alumnus of the University of Michigan. He received his Bachelor of Arts in Secondary Education and Master of Arts in Higher Education. Javier is a proud "Chilango" born and raised in Mexico City. Javier's journey as a former undocumented, first-generation, Latinx student has helped him keep a strong commitment to work towards a more equitable and accessible campus for all students. His educational and professional work highlight how he lives through the values of diversity, equity, and inclusion. Andrew graduated from Central Michigan University last May 2018 with my Master's degree in Professional Mental Health Counseling. His background includes working at Community Mental Health as a Clinical Therapist, Delta College as a Counselor and Academic Advisor, and most recently at Central Michigan University as a Career Coach. In his spare time, Andrew enjoys working out, playing sports and competing in long distance running as a form of self-care. chee ia yang (she/her/hers) attended the University of North Carolina at Charlotte with double majors in Marketing and Sociology, and Michigan State University with a Master of Arts in Student Affairs Administration. chee ia has been involved in multicultural affairs, leadership development, Greek Life, and international student support, and has worked in different capacities within these areas. My name is Shaima Abdullah. My pronouns are she/her/hers. I call home both Qatabah, Yemen and Coldwater, Michigan. I am a Women's Studies major with a minor in Intergroup Relations Education. I'm in my third year of school. I am a self-proclaimed social justice warrior and believe no one is liberated until we all are liberated. I think liberation really does start with the mind and being educated so I really care about access and sustainability in higher education for marginalized communities. My go-to karaoke song will always be Umbrella by Rihanna. My pronouns are she/her, and I'm a member of the 2018-2019 MESA Grants and Outreach (GO!) Team. I'm from Bloomfield Hills, MI, although I also grew up in Shanghai, China as well – so to me, both places are home. I'm studying Communications, I'm currently a junior, and I hope to work on the representation of Women of Color in media in my career after graduation. My karaoke night song is for sure Umbrella by Rihanna (honestly, anything by Rihanna)! Home is Lake Zurich, Illinois back in Sterling Heights Michigan but I was born in Nigeria. I’m majoring in Political Science and I have a Spanish minor. I’m a sophomore. My gender pronouns are she, her, and hers. I care about the refuge crisis and how it relates to immigration. At karaoke I would probably sing Halo by Beyoncé. I call Wilmette, IL home. I am currently a Senior studying Industrial & Operations Engineering. My preferred pronouns are she/her. One social justice issue that I care about is the inequitable access to health care, due to both rising costs preventing access to adequate care and racial biases affecting the quality of care. I would sing American Boy by Estelle at karaoke night. Jessica (she/her/hers) is a junior in the school of Literature, Sciences, and the Arts studying History. She is from a small town in northwestern Connecticut named Kent. Some social justice issues that are close to her heart are prison-reform/mass-incarceration, access to health care, and the effects of sexual and domestic violence. Her go-to karaoke song is either Somebody to Love by Queen or I Say a Little Prayer by Aretha Franklin. My hometown is Staten Island, New York, my major and minor are Political Science and Asian Studies, my year in school is school Junior. My gender pronouns are She, Her, Hers. Social justice issues that I care about are Education and Minority Rights. A song I would sing at karaoke night is Breaking Free from High School Musical. Amira Mandwee (she/her/hers) is a junior from Macomb, MI studying public policy at the Ford School with minors in Near Eastern studies and French. She is passionate about conflict resolution in the Middle East as well as the Arab-American experience. Her go-to karaoke song is “Don’t Go Breaking My Heart” by Elton John and Kiki Dee. Home is back in Sterling Heights Michigan but I was born in Nigeria. I’m majoring in Public Health Sciences, as part of the first undergraduate cohort. I’m a senior! My gender pronouns are she, her, and hers. I care about discrimination in housing and health. Where you live affects everything about your life and everyone deserves to live a healthy live. At karaoke I would probably sing Stay by Alessia Caro. My hometown is Vicksburg, MI. My major is Political Science, my school rank is Freshman. My gender pronouns are She, Her, Hers, Herself. The main social justice movement that I have been a part of is the Black Lives Matter movement. Ending violence and improving the treatment that myself and fellow members of the black community face has been my main focus.  Equal treatment and a safe environment for students of color on campus has been a major focus of mine since starting as a freshman at U of M. The song I would sing at karaoke night is Home by Edward Sharpe & The Magnetic Zeros. My gender pronouns are she/her/hers and I am from Grand Rapids, Michigan. I am a sophomore majoring in political science with the goal to become a lawyer and serve low-income communities of color with quality service. My long-term goal is to be part of the government as a senator or such and be a voice for the underprivileged, pursuing social justice at a wider scale. At karaoke night I would sing All of the Lights by Kanye. I call home Chicago, or actually a suburb of Chicago. My major is Higher Education concentrating in Diversity and Social Justice and my year in school is as a First-year Masters Student. My gender pronouns are She/her/hers. A social justice issue that I care about right now are women's issues, those have been in the forefront of my mind. A song I would you sing at karaoke night, if I am with my friends, Wanna Be by the Spice Girls.